Thanks for visiting the Articles area. To see how other people are using Technomad products, scroll down, or select one of the many articles on the sidebar at the right. >> For Product information click here. 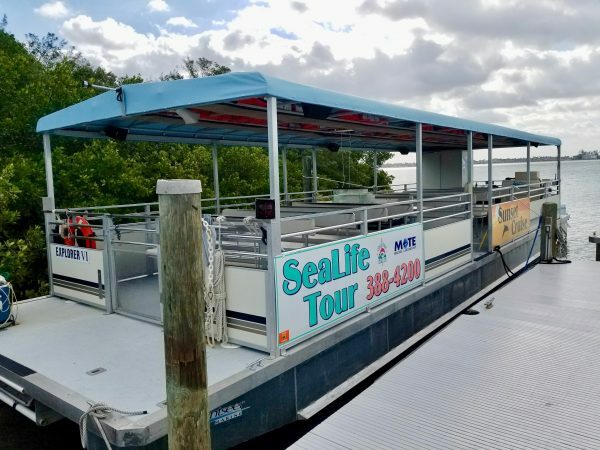 Climb aboard one of Sarasota Bay Explorers Sea Life Encounter Cruise’s and you’ll be in for a treat. 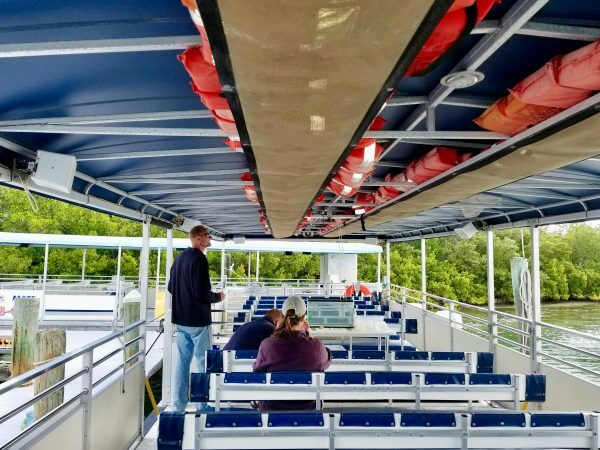 The marine biologist led tours take visitors on a 1-hour 45-minute cruise through Sarasota and Roberts Bay, where tourists observe manatees, bottlenose dolphins, puffer fish and more. The tours are broadcast over Technomad’s very own ultra-compact and waterproof, Vernal speakers. 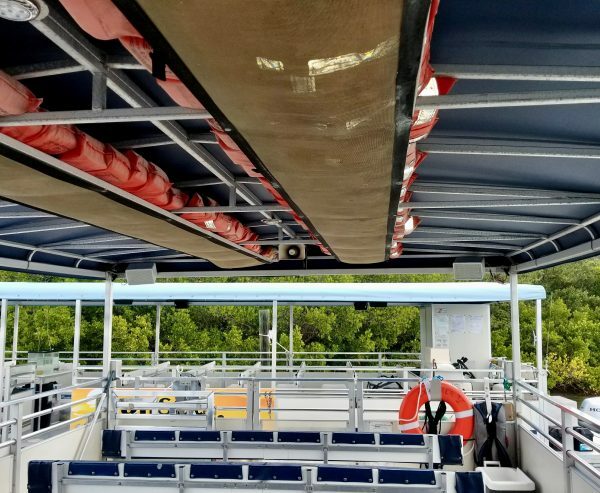 Six Vernal speakers are strategically placed throughout the 40-foot pontoon boats ensuring that every passenger can clearly hear announcements on wildlife sightings and learn from the expert biologists on the intricacies of the bay ecosystem. In 2018, the original Vernal’s were finally retired and replaced by a half-dozen brand new Vernal’s which were installed by sound technicians from Prime AV. Even though they spent their life at sea, when disassembled, the Vernal’s showed no evidence of internal damage or salt intrusion, a testament toTechnomad’s rugged, weatherproof designs. Interested in learning more about the Vernal speakers? 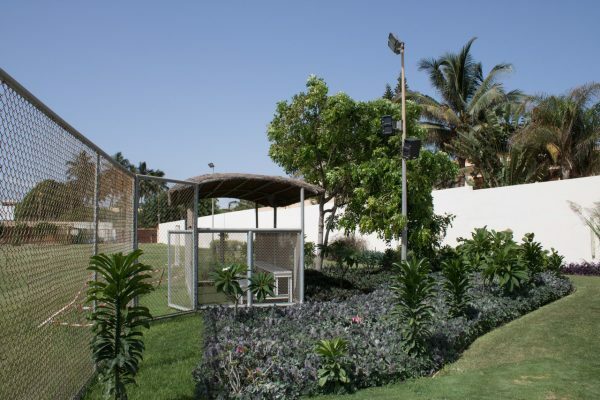 Contact us now or check out other examples of Vernal installations throughout the world. Dakar, Senegal. The westernmost city in the Old World and on the African mainland. Dakar, which was once a quiet settlement on the Cap-Vert peninsula, is now a thriving capital city, home to more than one million people. 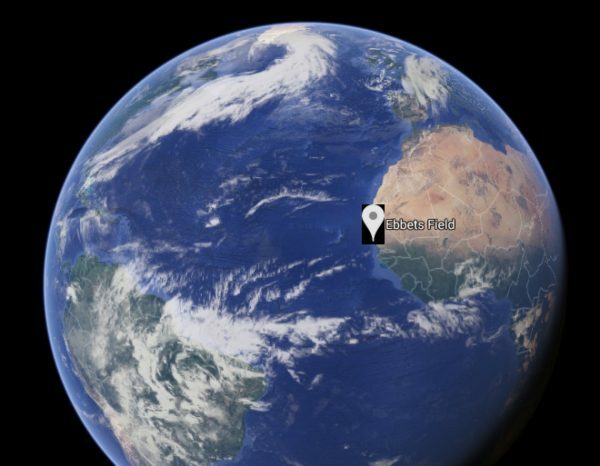 On the central western coast of the peninsula, in the Mermoz Sacre-Coeur district, sits Ebbets Field. Here people gather for baseball tournaments, basketball games, concerts, and community celebrations. Powering all these events, is one of our very own Technomad turn-key stadium PA systems. 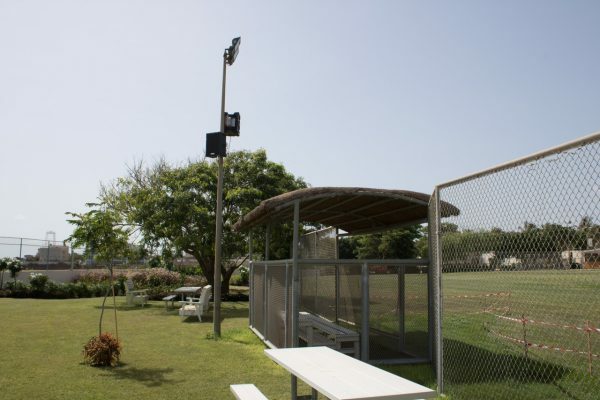 Our fully weatherproof, super durable Noho CI loudspeakers were installed effortlessly on the existing light posts and blend in seamlessly with the tropical environs surrounding the dug-out. 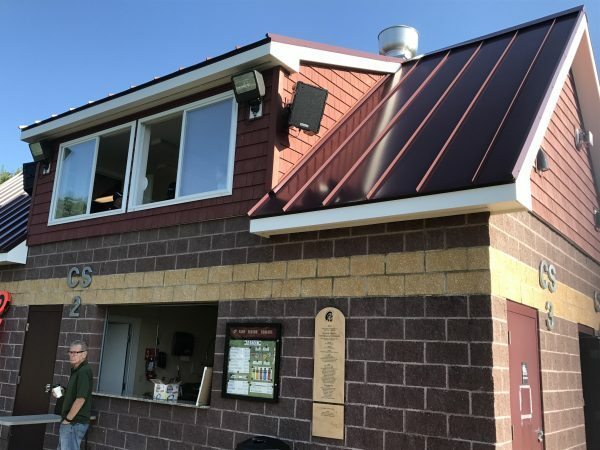 An additional Noho CI system is perched above the concession stand for extra insurance that no one will miss out on any game coverage or announcements. Our outdoor audio systems are designed for extreme environments and we love seeing them at stadiums, concert venues, and parks across the world. Contact us now to discuss which Technomad system would be the perfect fit for your needs. Hot Springs High School in Arkansas has welcomed some new members to its Trojan football team. 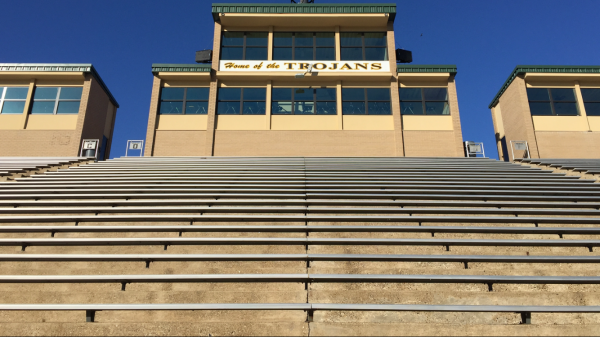 In the fall of 2017, two weatherproof, full-range Technomad Berlin loudspeakers were added to the high school stadium. Technomad dealer Jeff Childs reports, “The staff reported the improvement in overall sound volume and quality was remarkable”. Child’s went on to say, [These Berlin loudspeakers] are almost indestructible…I installed a pair at another stadium in Hot Springs that have worked great for over 10 years”. 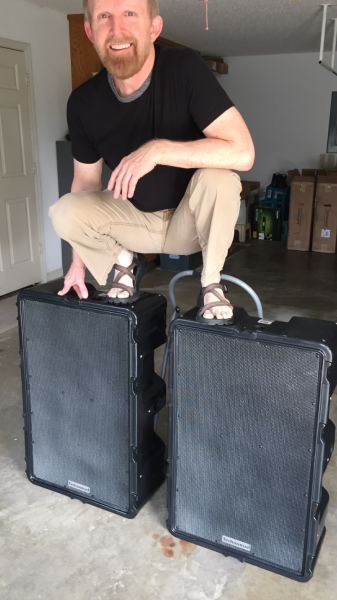 Check out the pictures below to see Jeff modeling with the powerful and durable Berlin loudspeakers. Can you spot where the Berlin loudspeakers are installed in the stadium? Interested in a Technomad Weatherproof Loudspeaker system for your school’s stadium? Take a look at other Technomad projects at Anson High School, Clovis High School, and Thornton Academy and contact our sales team to determine the best loudspeaker system for your needs now. Founded in 1811, Thornton Academy is one of the nation’s oldest independent schools. Located in the quaint coastal city of Saco, Maine, Thornton is home to day-students from the Greater Portland area, and boarding students from over 35 different countries. Thornton is now also home to two new Technomad Noho Ci loudspeakers. 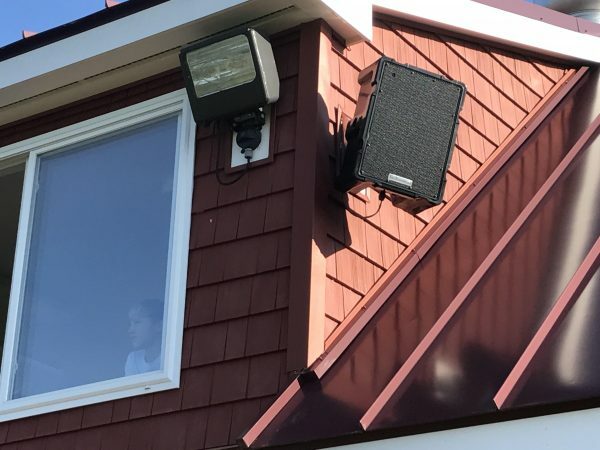 The ultra-compact, full-range Noho Ci loudspeakers are installed on each side of the concession stand at Thornton’s Hill Stadium, which is widely regarded as one of the top on-campus athletic playing facilities in New England. 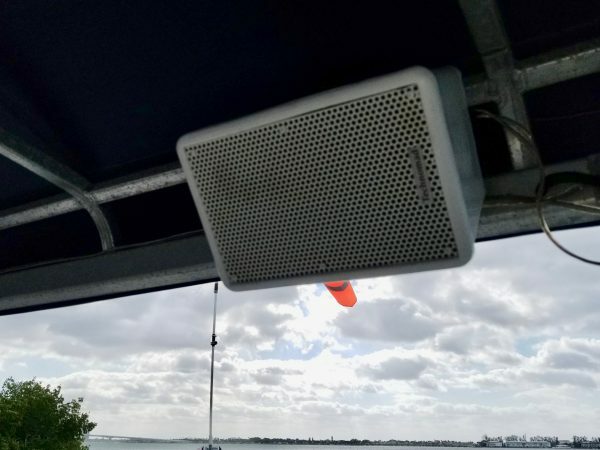 The Technomad weatherproof loudspeaker broadcasts results from the school’s football, soccer, and field hockey teams’, announces graduations, and much more. A school parent writes, “[The Noho loudspeaker] sounds fantastic! It really blankets the field, and the kids have fun cranking them during halftime and after the game”. Interested in a Technomad Weatherproof Loudspeaker system for your school’s stadium? Check out other Technomad projects at Anson High School, Clovis High School, and Berry College and contact our sales team now! 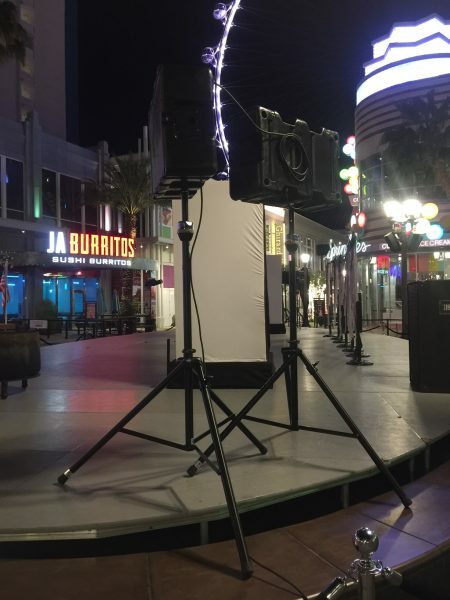 Show-goers were in for a treat as the Technomad Berlin Tour and Technomad Noho C Tour Weatherproof Loudspeakers powered “The Witching Hour”, a concert series that took place at the LINQ Promenade in Las Vegas over Halloween. Stage shows began every hour on the hour October 27-31st. The portable, fully weatherproof Technomad audio systems projected drumlines, DJ’s, and “spooktacular shows of mystery and magic” to a family-friendly crowd. 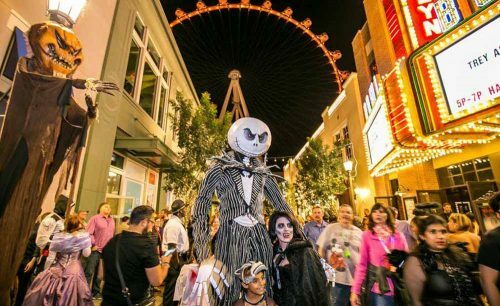 Even the High Roller, the 550-foot high Ferris wheel and crown attraction of the LINQ, joined in the festivities. On Halloween Night, the High Roller was lit up in orange, purple and yellow. The LINQ Promenade is an open-air shopping, dining, and entertainment district located directly across from Caesars Palace in the heart of the Las Vegas Strip. Spanning more than 300,000 square feet, the LINQ features more than 30 restaurants and retail stores, as well as stages for entertainment. 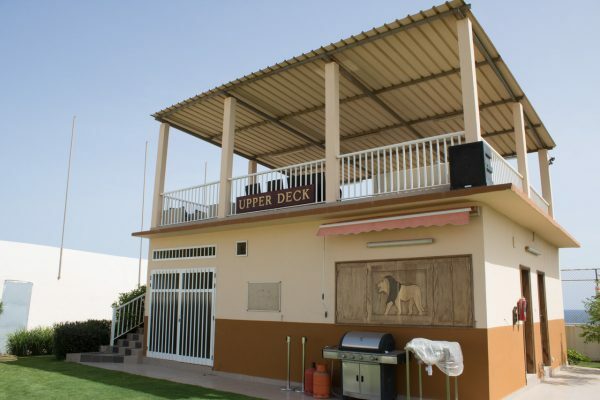 Four Berlin Tour and 2 Noho C Tour outdoor waterproof loudspeakers were used for the series. An identical system will be in use for a holiday show at the LINQ running throughout December.